John Wesley boils fiscal responsibilities down to just three rules: Earn all you can. Save all you can. Give all you can. Sounds simple, right? Yes, but not easy, especially in today’s culture of consumerism. 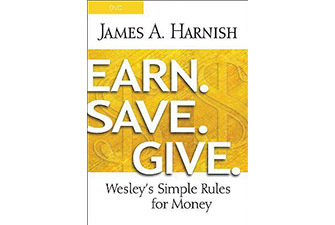 This twenty-first century translation of Wesley’s money management philosophy will give everyone in a new way to think about money. Join us for this 2018 stewardship study! There will be three options for the class. Please sign up below for your preferred day and time. Books will be available in the office for $10.